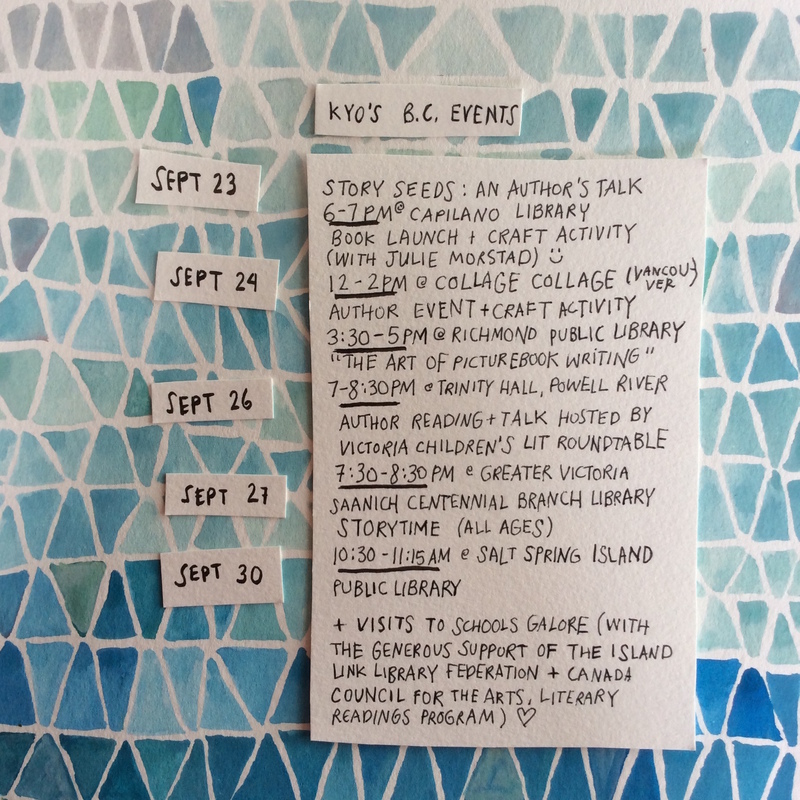 I will be visiting schools and libraries in Powell River, Victoria, Sydney, Pender Island and Salt Spring from September 23-30 on a Canada Council for the Arts | Conseil des Arts du Canada reading tour. There will be a few public events—please come if you’re around. Big thanks to my hosts the Island Link Library Federation.